Ryanair Launches 2019 Customer Care Improvements More Choice. Lower Fares. Great Care. 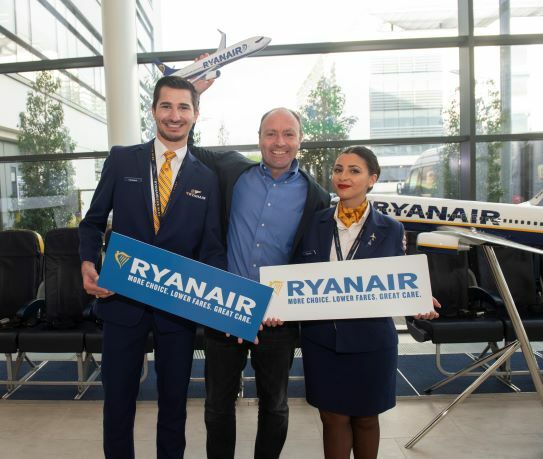 “Ryanair is pleased to launch our 2019 customer care improvements, while continuing to deliver ‘more choice, lower fares and great care’. Ryanair will carry 152m customers this year who will enjoy these latest improvements including lowest price and punctuality promises, our Customer Care Charter, new Ryanair Choice membership, and this Summer many will enjoy our new Boeing MAX “Gamechanger” aircraft with more legroom and bright new interiors.